Aluminum foil tape, black vinyl tape, tape dispensers, cellophane tape, double face foam tape, duct tape. Additional tapes are shown on the Tape, film, paper page. tesa 53900 for fiberglass ducts and duct wrap. 4 mil total thickness with a 2 mil aluminum foil backing. High tack superhold adhesive seals permanently. 46 meter rolls. 24/case but sold by the roll. 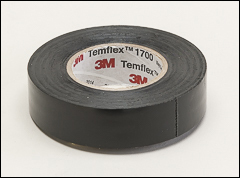 3M 1700 Temflex™ general purpose vinyl electrical tape. Excellent resistance to abrasion, moisture, alkalies, acid, copper corrosion, and varying weather conditions. This is a PVC polyvinyl chloride tape that is flame-retardant and conformable. 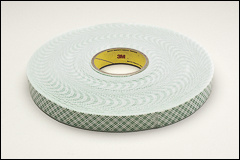 UL Listed and CSA Certified "Insulating Tape". 7 mil (0.18 mm) thick, 60' rolls. 100/case but sold by the roll. 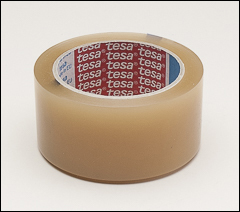 tesa 4101 low stretch transparent tape with synthetic rubber resin adhesive. 2.2 mil thick, 66 meter (72 yard) rolls. Sold by the roll. 3M 4016 double coated urethane foam with an approximate 1/16" thickness. Good in high temperatures. Solvent-resistant and high shear holding power. 33 meter (36 yard) rolls. 9/case but sold by the roll. 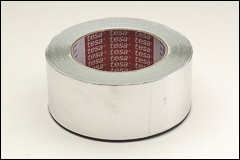 tesa 64613 utility grade silver cloth duct tape designed for general purpose applications. 55 meter rolls. 24/case but sold by the roll. industrial grade silver cloth duct tape designed for medium duty applications. 55 meter rolls. 24/case but sold by the roll. 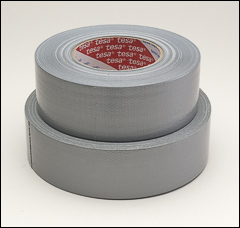 a professional, contractor grade silver cloth duct tape for heavy-duty uses and rough surfaces. 55 meter rolls. 24/case but sold by the roll. 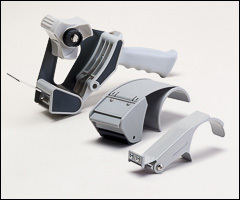 Hand-held dispensers for 1" or 2" wide tapes on a standard 3" core. Heavy-duty, lightweight plastic. The 2" dispenser is available in a pistol grip model with a braking mechanism that allows adjustable tape tension and unwind.